We are hosting some FREE Saturday Summer Specials in the Breeze House behind The Kings Arms during July and August to raise funds for the Rock against Cancer charities. Following on from the relaxed afternoon with Verdisa playing last year, we have a series of bands who will be performing a mix of music until end of August. Food and drinks from an outside pay bar will be available during the Saturday afternoons. First up on 21 July from 3 to 5pm will be Sloe Train. They recorded their first album, Blues Booze and the occasional snooze last year, with more recordings planned for this autumn, as their own material starts to take shape. The band also organized a village golf day over Christmas 2017 raising over £1,700 for CATK. 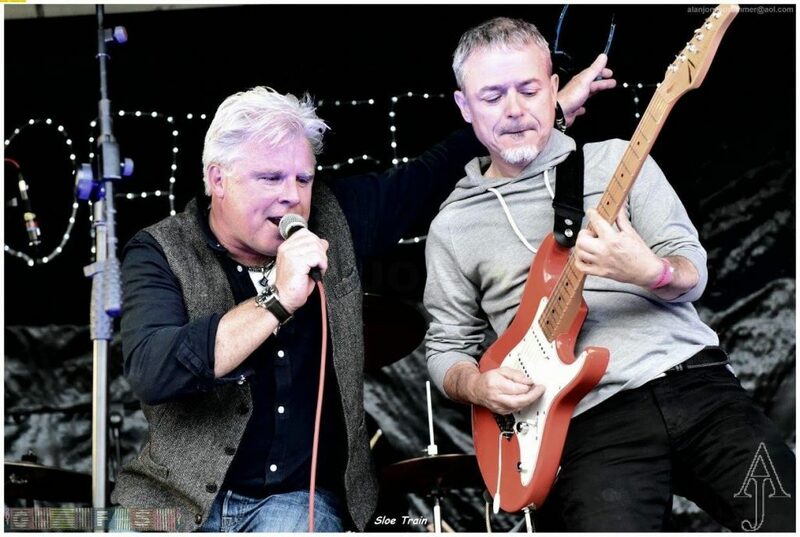 This exclusive blues band is a collaboration of some of the South West’s most seasoned musicians, who share a love of the Blues and playing live. Some of the Southwest’s most seasoned Blues musicians, playing for fun and the love of live performance. Think Bonamassa meets The Bluesbreakers, with a twist of early Fleetwood Mac. Add in a little Ainslie Lister and King King influence and you have a heady cocktail of contemporary blues that is aching to be played live.